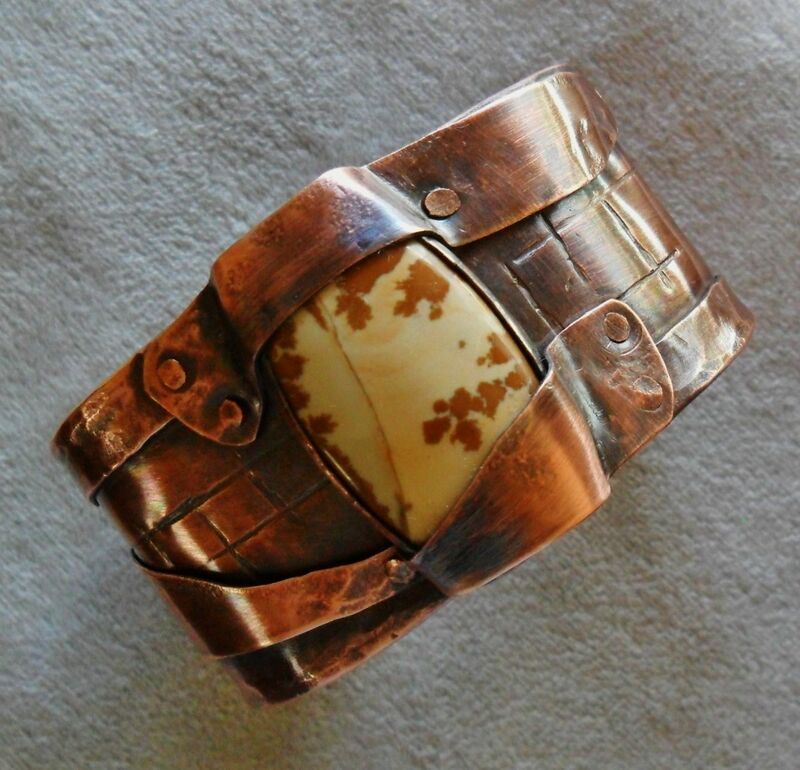 Picture jasper stone set under copper edges on a chiseled and hammered cuff bracelet. Stone has light brown colors that look like bleeding paint onto creamy off white colors. 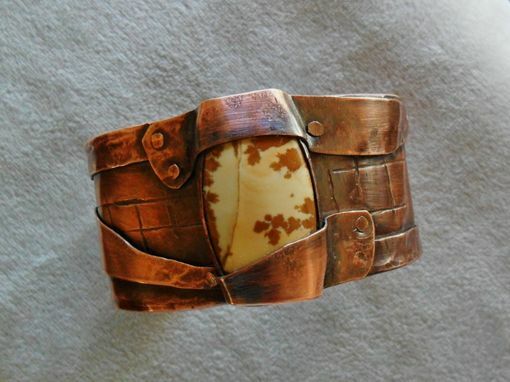 Layers of texture and dimension to this unique mens or womens piece including rivets and hammering. 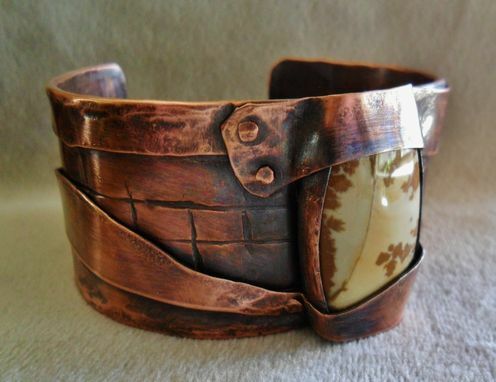 Piece is 1 1/2 inch wide and 6 inches long.